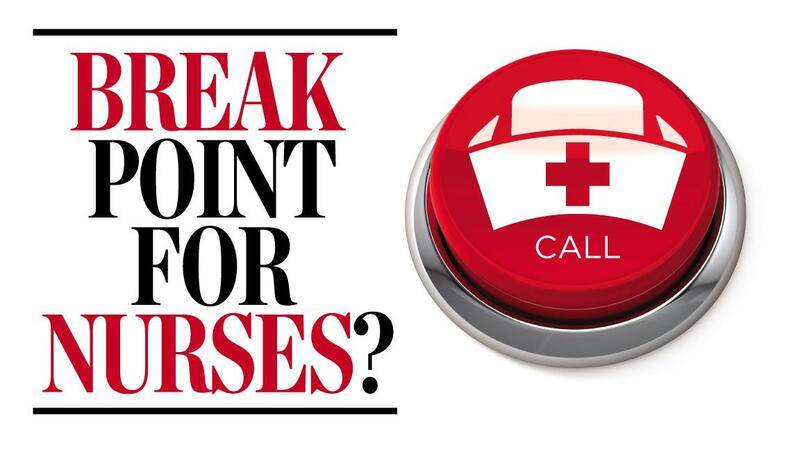 UPDATED: Tue., April 2, 2019, 10:05 p.m.
A bill requiring nurses in Washington state to take rest breaks and prohibiting mandatory overtime is placing health care practitioners and the hospitals that employ them at odds. Hospitals are arguing that the bill, sponsored in part by Rep. Marcus Riccelli, D-Spokane, will cause health care costs to increase and delay certain procedures intended to reduce the suffering of patients, while groups representing the nurses argue the measure is an overdue protection against medical errors caused by fatigue and nursing shortages caused by burnout. The proposal passed the state House of Representatives on a bipartisan vote earlier this month, prompting both sides to dig in as a Senate panel is scheduled Wednesday to decide if the bill will come to the floor of that chamber for a vote that would send it to Gov. Jay Inslee’s desk. The bill would require nurses to take uninterrupted meal and rest breaks as required by state law, with exceptions carved out for emergency situations and when the employee’s specific skill set is required to complete a procedure. It also prevents hospitals from handling staffing shortages by requiring nurses to remain “on-call” after their shifts have been completed, causing them to work longer than 12 hours in a single 24-hour period. Hospitals lobbied successfully for exceptions to be made in the cases of organ transplants and those who work with victims of sexual assault, said Cassie Sauer, president and chief executive officer of the Washington Hospital Association. Under a previous version of the bill, organ donations would not have counted as “emergency procedures” that would allow hospitals to override the rest and overtime requirements in likely instances when organs became unexpectedly available. Hospitals are now warning the bill could have unintended consequences for staffing at rural hospitals and certain reproductive care for women at larger facilities. But 17 other states already have laws in place that are similar to what is being considered in Washington, counter the Washington State Nurses Association and unions representing nurses and other health care professionals who would be affected by the bill. Krone said she’s worked 12-hour shifts without stopping to use the restroom or eat, which can result in substandard care. There are internal pressures to remain with patients, she said, especially in emergency room situations where any attempt to take a break means a colleague will have to pick up the slack. Krone and Riccelli both cited a 2016 report from researchers at Johns Hopkins University that reviewed eight years of medical data and determined roughly 250,000 patient deaths in the U.S. each year could be attributed to medical errors. That would make such errors the third-leading cause of death in the country. Hospitals counter that requiring nurses to hand off their cases and not communicate with a physician during their scheduled breaks could cause that number to rise. They’ve also cited potential costs of millions of dollars to hire more nurses to meet the staffing requirements, all for a problem they say isn’t pervasive. Self-reporting indicates fewer than 5 percent of nurses miss meal and rest breaks at Sacred Heart, Stacey said. Krone said those numbers are artificially low because nurses don’t want to report they’ve missed breaks to supervisors. Sauer also warned that limiting on-call possibilities would delay surgeries required not to save a life but to reduce pain, including gall bladder procedures. The alternative to performing these procedures is giving the patient painkilling opioid medications until staff is available to perform the procedure, something hospitals are loathe to do with reports of rampant addictions. The hospitals proposed a separate bill to address nurse fatigue that would empower staffing committees established within each hospital to analyze data about reported missed breaks to create plans for nursing assignments at individual hospitals. That bill was not passed out of either chamber of the Legislature and can’t be considered during this session. “That is our belief that that is the appropriate place to have these conversations,” Stacey said. Deliberations on the bill come as Providence Health Care continues its contract discussions with nurses at Sacred Heart. Riccelli said he believes some hospitals are providing positive work environments for their workers, but the law would codify rest breaks and time off for workers who need it without the involvement of a union. Published: April 2, 2019, 6:28 p.m. Updated: April 2, 2019, 10:05 p.m.